These are the best results in all five monument classics in the career of a particular cyclist. It’s an impressive collection of placings for any rider in any era. This rider, despite never making the podium there during his career, always wanted to win Paris-Roubaix. He said: “I would have given anything to win Paris-Roubaix. I felt like I was good technically on the cobblestones, but I don’t think I ever had a peak day. I’ve always felt I’m a summer rider. I’ve always been a warm weather rider. The guys who excel in the early season either train all winter and are in their very best shape, or they’re Belgian or they’re Irish. Cold weather, rain, I’ve never felt good in it. I always wished there were more classics in August”. 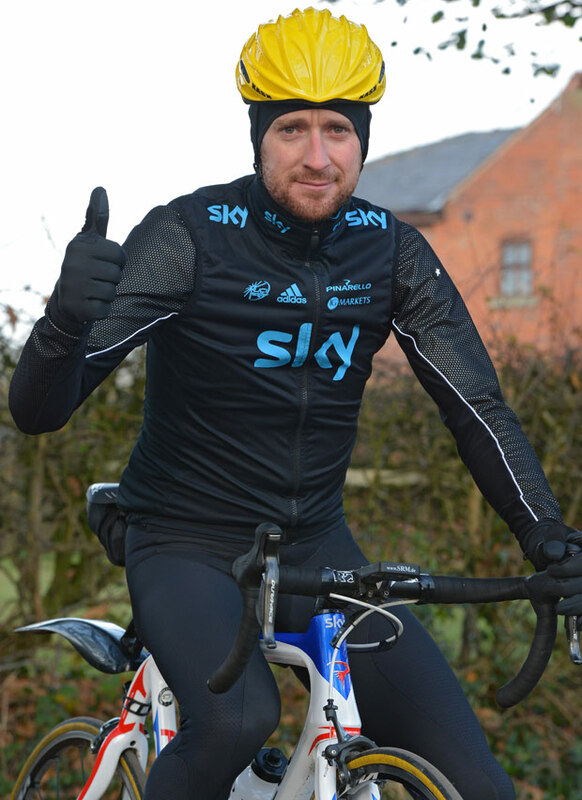 But before we reveal the identity of our mystery classics rider, let’s consider another rider who has struggled of late in the cold and rain, Bradley Wiggins. Now that Chris Froome and Richie Porte have taken over the primary and ancillary stage racing duties at Team Sky, Wiggins, aged 33, is in the market for one more specialist niche to occupy before he calls time on his career. In recent weeks and months, Wiggins and his team manager Dave Brailsford have, apparently, been making noises about targeting Paris-Roubaix next year. The Belgian-born Brit has a habit of reinventing himself. He’s already shifted from track virtuoso, to time trial king, to Tour de France winner. Could he carve out one more niche as a classics contender? Not great, but not terrible. Unlike every other Tour de France winner in the last quarter of a century, he has actually ridden all of them. It is the 25th place in Paris-Roubaix coupled with his time trialling ability being roughly on a par with Fabian Cancellara’s that seems to be the foundation for next year’s plan to tackle the Queen of the Classics. This subject is broached in the February 2014 edition of Cycle Sport magazine. It is confirmed that Paris-Roubaix is ‘on the radar’ for Wiggins and Team Sky. There are also the thoughts of directeurs sportif from all of Wiggins’ previous teams on whether he stands a chance against the seasoned cobbled competitors like Cancellara and Tom Boonen. The responses vary from FDJ’s Marc Madiot, who says ‘yes… he can be a contender’, to Eric Boyer of Cofidis, who says ‘no, he can’t’, to more pragmatic answers from Jonathan Vaughters, Brian Holm and Roger Legeay who all think he could be good, but a win would be unlikely. Wiggins won’t be the last rider to try to combine the Tour de France and Paris-Roubaix on to a single palmarés, but he most certainly isn’t the first either. Fourteen riders can claim to have won both races during their career – Bernard Hinault, Eddy Merckx, Jan Janssen, Felice Gimondi, Louison Bobet, Fausto Coppi, Sylvére Maes, André Leducq, Henri Pélissier, Francois Faber, Octave Lapize, Henri Cornet, Louis Trousellier and Maurice Garin. But it is becoming a rarer feat with the passing of time, as eight of those fourteen completed their double before World War II. The most recent rider to complete this unlikely career double was Hinault, having won the Tour in 1978 and 1979, he added Paris-Roubaix in 1981. Although Hinault hated Paris-Roubaix, it is a common misconception that he only rode this race once. He actually rode the Queen of the classics on five occassions, never finishing lower than 13th. When he finally won it in 1981, he owed much of his success to a 19 year-old Greg LeMond – well, that’s according to LeMond himself. Let’s now revisit the list of monument classics results that we started with – these are of course belonging to Greg LeMond. The American gets labelled these days as a rider who focused only on the Tour de France and world championships. This label is somewhat applicable to the latter stages of LeMond’s career, after he was accidentally shot in 1987. But throughout LeMond’s early years, he was as good a classics rider as any on his day. If you take the best result in each of the five monument classics, as we have done here with LeMond, for every rider in the current peloton (who have ridden all five races), the rider with the lowest score of any active rider is Greg van Avermaet. The BMC rider ends up with a score of 36. Perennial monument winners like Cancellara and Boonen don’t even make the list because neither have ridden either Liege-Bastogne-Liege or the Tour of Lombardy. The only monument winners to make the top 10 of the list are Alessandro Ballan (with a score of 41), and Phillipe Gilbert (with a score of 60). Greg LeMond can boast an impressively low total of 18. LeMond merely dabbled in the classics as he got older. He still had enough class left to finish ninth in Paris-Roubaix in 1992. But his last great classics result came in 1986, before his body had been blasted with lead. He had come close to a win on many occasions and by the time he had ceased focusing on the Spring classics he had most certainly learned what it was like to lose one. Wiggins on the other hand, has none of this experience. He has ridden Paris-Roubaix and the other monument classics, but he has never been in the shake up at the end of one. All of the greats have had to learn and win, armed with the experience of losing – Eddy Merckx, Sean Kelly, Francesco Moser, Roger De Vlaeminck, Boonen and Cancellara all came close to victory in Paris-Roubaix before eventually winning it. Wiggins’s Team Sky are meticulous. But there’s no amount of meticulousness will prevent a loose elbow from a rival nudging you slightly off the line you were taking over the cobbles and instead steering your front wheel into one of the places where a cobblestone used to be. 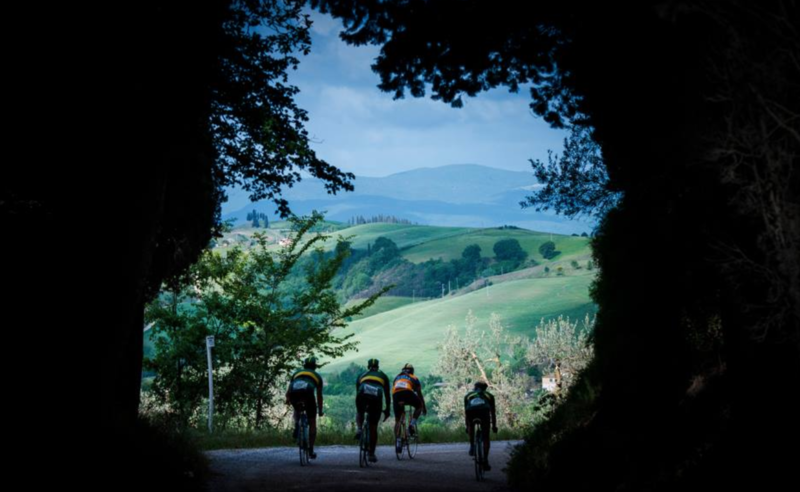 Can motor pacing over the Hell of the North replace the experience and anguish embedded in the head of Zdenek Stybar having clipped a spectator last year, momentarily losing Cancellara’s wheel and forever losing that race? It is no wonder that Team Sky remain coy about Wiggins’ chances over the cobbles. They have trumpeted classics ambitions loudly in the past and have fallen hugely short. However, if the 2012 Tour de France winner does decide to aim for Paris-Roubaix it is a hugely exciting endeavour and one we have not seen attempted for a generation. One can’t help but think that Wiggins will need a few years to woo the Queen of Classics, as everyone else has done – to build up a classics palmarés similar to LeMond’s before eventually tasting success. LeMond voluntarily ran out of time because he shifted focus away from the classics and on to the Tour. Wiggins is doing the opposite and at 33 years of age, taking the age demographic of Paris-Roubaix winners into account, he still has a fair amount of time left. But with talk also of an attempt at the hour record and impending retirement shortly thereafter, you’d have to wonder how much time he’d be willing to give it. Wiggins has been spotted out training near Southport going along Plex Moss Road – which is very similar to the Paris Roubaix terrain – cobbly type farmers tracks in the middle of windswept fields. Go on Wiggo you can do it. Never have i seen wiggins mount the kind of attack needed to win a classic such as Flanders or Paris-Roubaix. He’s always minimising damage, except for time trials. He;s too late in his career to change his mental attitude and to produre the explosion needed to get the competition out of his wheel.